You will leave the ship and travel by coach through the Cross-Harbour Tunnel to the opposite side of the world-famous Victoria Harbour. Your tour will then take you to Aberdeen Village to see the many fishing junks and floating restaurants moored there, before continuing with a visit to Hong Kong's largest jewellery factory, whose artists create some of the best prize-winning designs using the famous semiprecious stones. You will then savour a light lunch, one of Hong Kong's most outstanding landmarks. After lunch you will then visit the Repulse Bay - One of Hong Kong most popular and beautiful beaches. Overlooking Repulse Bay is the former Repulse Bay Hotel which has long been a landmark of the southern side of the island. Huge statues of Tin Hau, Goddess of the Sea and Kwum Yum, Goddess of Mercy now overlook the beach. Next stop, you will have the opportunity to enjoy one of the greatest local attractions - shopping at incredible prices at Stanley Market. This market is situated at the southernmost point of Hong Kong Island and was once a fishing village. It has a reputation for offering great buys at low prices, accompanied by beautiful scenery. It is a Mecca for bargain hunters, and its narrow lanes are lined with small shops selling the very latest in fashion and clothing, such as overruns of designer jeans and sportswear, and leather and silk clothing in Western sizes, as well as household goods, porcelain, brass and many other items. After shopping, your tour will continue with a visit to the Man Mo Temple and shopping at the Hollywood Road. This is Hong Kong's oldest and most famous temple and is named after the god of war and the god of literature. Traditionally parents bring their children here at the beginning of the school year to pray for blessings and Hollywood Road is famous for the wide array of antiques and curios shops where one can find all kinds of trinkets and knick-knacks including the rare treasure. You will continue by coach to Victoria Peak. 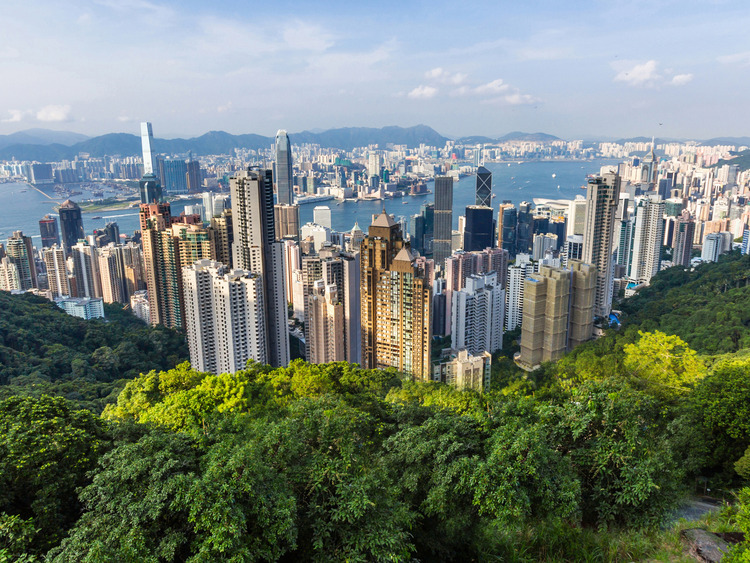 The Chinese name for Victoria Peak is Tai Ping Shan which means the mountain of Great Peace. Today the Peak is visited by millions of tourist and locals every year, mainly for the unforgettable views of the city (weather permitting) .During the last stop you will see the spectacular Tsing Ma Bridge linking the new Hong Kong Airport, and it is presently the longest suspension bridge capable of carrying both vehicles and trains in the world.